Taking care of elderly drug and alcohol abusers can be a nightmare. Health care providers often overlook them. People sixty and over, are the fastest growing segment in North America. Therefore, it is certain that the treatment of their drug and alcohol problems have to be given top priority. A major problem is that diagnosis may be difficult because symptoms of drug and alcohol abuse in older people are sometimes diagnosed as medical disorders that are common with the elderly -- dementia, depression, blood pressure, diabetes etc. Because of this, alcohol and drug abuse in this population may go undiagnosed and untreated, or be treated inappropriately. Based on National Survey on Drug Use and Health (NSDUH) data from 2006 to 2008, a projected 4.7% of adults who are 50 and over used illegal drugs in 2009. It was further established that during 2008, a projected 2.9% of this age group were either dependent on drugs or were alcoholics. As the U.S. population ages, the likelihood of people over sixty who have substance abuse problems is expected to climb further. The below mentioned detailed graphical picture of the SAMHSA (Substance Abuse and Mental Health Services Administration ) study of treatment admissions between 1992 and 2008 gives a clear picture of drug and alcohol abuse in older individuals. Alcohol abuse lowered from a 84.6% to 59.9%. Heroin abuse rose from 7.2% to 16.0%. Cocaine abuse went from 2.9% to 11.4%. Abuse of prescription drugs increased from a mere 0.7% to 3.5%. Marijuana abuse increased from a low 0.6% to a 2.9%. Amphetamine abuse increased from 0.2% to 2.5%. The SAMHSA (Substance Abuse and Mental Health Services Administration) study of treatment admissions between 1992 and 2008 established that the percentage of older adults seeking treatment for multiple substance abuse disorders nearly tripled. SAMHSA officials also indicated that older drug users is a very troubling issue in terms of healthcare and needs to be addressed as more and more Baby Boomers age. However, the level of alcohol abuse has reduced considerably between 1992 and 2008, and the levels of drugs and other substance abuse have increased during this period. Abuse of multiple substances is a concern because of the potential for adverse health consequences, including death. In a survey conducted by the Medical Research Council in Britain, it indicated that older people are more likely (nearly two to six times more) to die from an intravenous overdose rather than a younger drug abuser. Abuse of prescription medication and combining it with alcohol is another problem with elderly substance abusers. Their physicians should be aware of this. 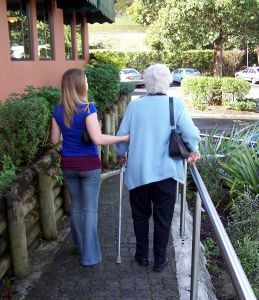 Residential and out-patient counseling can be very helpful for the elderly, and AA and other anonymous groups can provide an excellent support system. If you’re taking care of elderly alcoholic/addicts suggesting that they go is not enough. They have to be pressured to do it. If you are in the difficult situation and are taking care of elderly substance abusers and have a question here's where to ask And if you need a professional consultation, this can be arranged on the phone or Skype, and a conference call with everyone involved can be very helpful so everyone stands together and does the right thing.